Understandably, many people have little idea what to expect once their car is involved in an accident, and the whole process can seem very daunting. We're asked some questions very regularly, and so we have put the answers together for you - to help make everything a little clearer. Yes, for a period of 5 years, or the remainder of the manufacturer's warranty whichever is the longer. The warranty shall be for the lifetime of the individual's ownership of the vehicle. Why can delays arise during repairs? The insurance company engineer may need to inspect the vehicle. Additional work may be identified during the course of repairs beyond the original estimate.Parts may not be available at the time of the repair. We will try to provide an indication of morning or afternoon delivery. Where a courtesy car is issued, it must be available to us at the time of delivery of your vehicle. Who is responsible for damage to courtesy cars provided by UK Assistance Accident Repair Centres? Your own insurance policy is used for the courtesy car and you are responsible for any excess payments. This would be considered an additional claim. Is there any charge for the courtesy car? No. The vehicle is subject to a pre-delivery inspection but you must check oil, water, lights and tyres daily. What fuel do I use, and is a refund available for unused fuel? All of our cars use unleaded petrol and no refund is given in respect of unused fuel. The persons covered by your insurance policy at the time you are using the courtesy car can drive it. They are subject to the same terms and conditions as your current policy, including excesses, windscreen damage etc. We are only able to undertake the work approved by the insurance company's engineer and other repairs would need to be subject to private invoice. If you are unhappy with the engineer's decision it is important that you contact your insurance company immediately. What courtesy car can I expect? 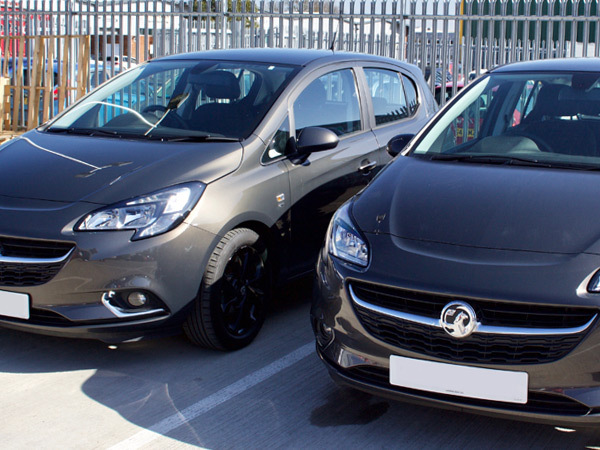 If you are entitled to a courtesy car, we have a fleet of Vauxhall Corsas or similar which will be supplied to you upon collection of your vehicle.